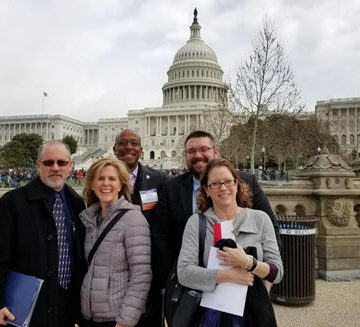 Florida sent a large group of ASCE members to advocate for infrastructure during the 2018 Legislative Fly-In. Three flight cancellations and 15 inches of snow? No problem for Logan Johnson. She acknowledges maybe even sleeping in the hatchback trunk of her rental car at one point, but she made it safely to DC. Such is the commitment of ASCE’s members to the infrastructure advocacy cause. 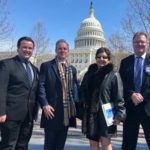 Johnson joined 210 other ASCE members from 49 states, District of Columbia, and Puerto Rico for the Society’s flagship annual advocacy event, delivering the message to Congress that infrastructure investment matters. 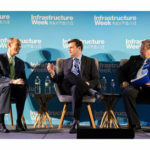 The heart of the two-day event is the trip to Capitol Hill for member visits with their elected officials to discuss infrastructure solutions. 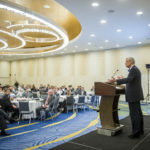 This year’s focus topics included the urging Congress to draft a comprehensive infrastructure bill, FAA reauthorization, the 2018 WRDA reauthorization bill, and the SRF WIN Act. Last year’s Fly-In helped launch ASCE’s 2017 Infrastructure Report Card. That report – and the D+ infrastructure grade – helped elevate the conversation nationally. This year’s Fly-In put members on Capitol Hill not long after President Trump released his infrastructure plan. 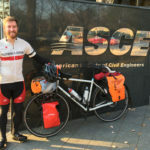 Fly-In veteran Darren Olson, P.E., D.WRE, M.ASCE, noted a sense of positive energy around both the ASCE group and the conversations with members of Congress. ASCE members can continue to support the Fly-In’s advocacy efforts by sending an email to Congress in support of infrastructure investment.